Olayinka Olanrewaju had begun a prestigious law career in the UK, but something unmistakable called him back to his home in Nigeria. With this desire to give back, Olayinka returned to Nigeria. While he was acquiring his credential through the Nigerian Law School, he discovered that nearly 50 percent of the law students there failed. Unable to pass exam after exam, students saw their dreams evaporate. 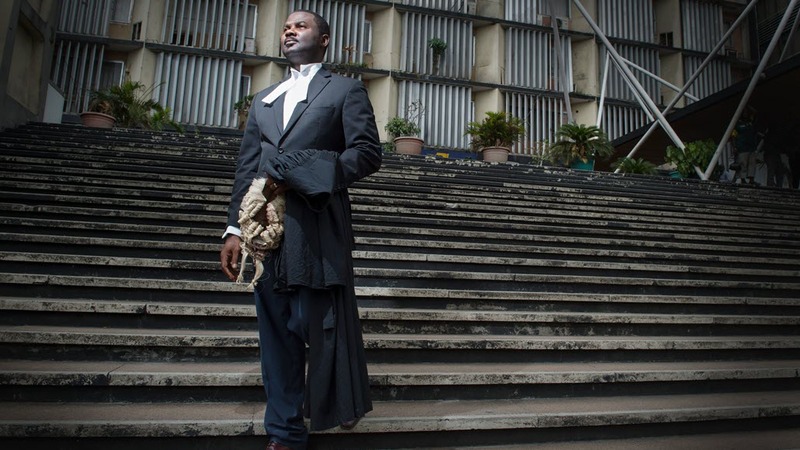 Observing how law was taught in Nigeria—typically, one lecturer delivers complex legal theory to an audience of above 200 students—Olayinka realized that students weren’t succeeding, because they needed to be equipped with better learning tools and opportunities to practice and build mastery of the subjects. After personally coaching several struggling students to great success, Olayinka realized that technology offered a way to help students at scale. He put together a team of talented colleagues and together they launched Lawcademy, an e-learning platform that uses dynamic and interactive content to explain complex legal subjects in easy-to-understand terms. Analogous to Coursera and Udemy, the platform leverages digital learning tools like videos, mind-mapping, infographics, and quizzes that give students instant feedback on their performance. What sets Lawcademy apart is its interface and context-specific content, which has been tailored to a West African audience. For Olayinka, the impact of Lawcademy extends beyond helping students succeed: “In order to ensure equal access to justice, we need qualified lawyers and better ways to help citizens fully understand their legal rights.” Olayinka envisions being able to also empower the general public to understand how to demand more from the government, or simply their own attorneys. Olayinka Olanrewaju was awarded a Microsoft #Insiders4Good Fellowship, part of a new initiative at Microsoft designed to support promising entrepreneurs with extraordinary solutions to social problems. The Lawcademy team includes Saheed Adepoju, a tech wiz who developed a low-cost tablet computer when he was only 29; Tolu Daniel-Olaloye, a legal practitioner with an extensive track record; and Joseph Agunbiade.